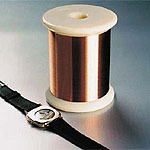 Nagoya Denki supplies wire materials, UL wires, flat wires and tape wires, etc., for use with all types of electric and electronic devices. 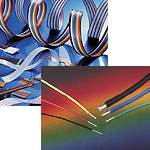 Select wiring material, essential for downsizing and reducing costs of devices such as cellular phones, cameras and DVDs. 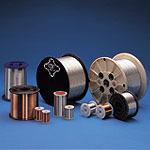 A variety of alloy wires, including Cu, Ni and Co, are available for leads and electrodes used in electronic parts such as capacitors and resistors. 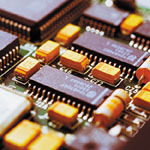 With the “advanced analog IC” as our pillar, Nagoya Denki is involved in the planning and development of unique ICs and custom-order ICs for various applications. 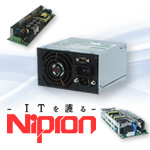 Nagoya Denki handles a variety of Nipron Co., Ltd. power supply devices for use as power supplies for control, drive and PC power. 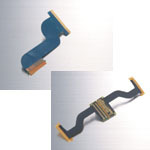 Contact your customer representative for more information.